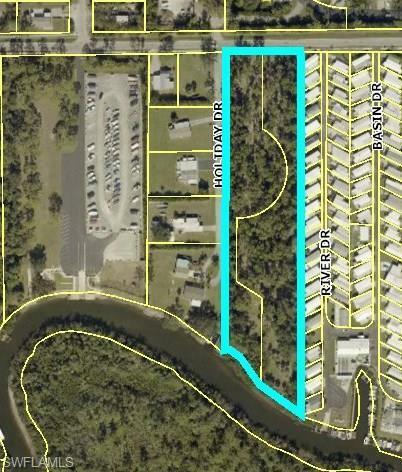 Currently the lot is split into 2 lots of 2 acres each with frontage on Broadway Avenue and Estero River frontage.One dock exists. 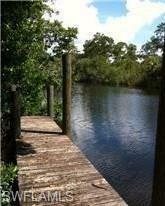 Boat slip permitting allowed for each homesite approved. Preliminary development costs are available. Surveys available. (Tree & Boundary)Environmental & Dock feasibility studies by Hans Wilson & AssociatesPhase 1 Report Available by Ardaman & Associates.Supplemental information and renderings available.10 feet above sea level. North side of River is higher than the South sideIdeal development site for 7 to 10 lots.